Robert X. Fogarty founded Dear World, a portrait project that unites people through pictures in his distinct message-on-skin style. Its precursor, Dear New Orleans, became an alternative platform for people to write love notes to their city. Before launching Dear World, Fogarty noticed that the simple portraits could be a vehicle for shared communication no matter race, religion or language. His work has appeared on the TODAY show, CNN, in the Washington Post and in over 30 countries. 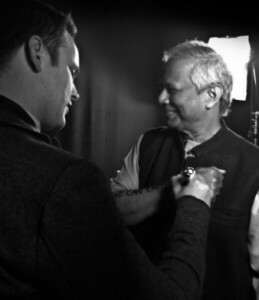 He’s photographed Nobel Peace prize winner Muhammad Yunus, Academy Award winner Susan Sarandon and Super Bowl MVP Drew Brees. He’s also photographed Lorraine Powell Jobs, Peter Thiel as well as the executives of several major companies including Pacific Life, UBS and Astra Zeneca. Because of his work with his private clients, Fogarty uses a portion of his revenues to underwrite the project costs of his field projects, which document people with incredible stories to share. Dear World traveled to Joplin, Missouri, the site of an EF tornado that killed 160 and Breezy Point, New York, where a 6-alarm fire destroyed 111 homes during Hurricane Sandy. Most recently, Fogarty traveled to the Zataari refugee camp in northern Jordan, which now houses over 200,000 Syrian refugees and is the second largest refugee camp in the world. They’ve also worked with Boston marathon bombing survivors who returned to the finish line to take their Dear World portraits. Named Jordan’s “Musical Ambassadress”, jordanian virtuoso Farah Siraj balances a career that spans the United States, Europe and the Middle East. Farah has performed at some of the world’s most prestigious platforms, including the United Nations, Nobel Prize Hall, the World Economic Forum, The John F. Kennedy Center in Washington DC, Lincoln Center in New York, MTV, Coke Studio, the TV show Good Morning Live in the USA, MBC TV in the Middle East and the Antena de Oro Awards of Spain. Farah has performed before HM King Abdullah II and HM Queen Rania of Jordan, HM King Juan Carlos of Spain, HH Sheikh Mohammed bin Rashid Al Maktoum and HE Secretary-General of the United Nations, Ban Ki-moon. In addition, Farah represents Jordan annually on United Nations World Peace Day. To this date, Farah has toured the Middle East, Europe, India, South America and the United States, spreading the message of peace through her music. In 2011 Farah internationally released her album entitled NOMAD, funded personally by His Majesty King Abdullah II of Jordan. In NOMAD, Farah performs her original compositions, fusing influences of middle eastern music, flamenco, jazz, bossa and pop, with lyrics in Arabic, Spanish and English. The recordings took place in the Middle East, Spain and the USA, including more than 30 internationally acclaimed musicians from five different continents. In 2012, after the success of NOMAD, Farah presented the world premier of her new work, entitled The Arabian Jazz Project, featuring original compositions and traditional middle eastern tunes set to a jazz context. 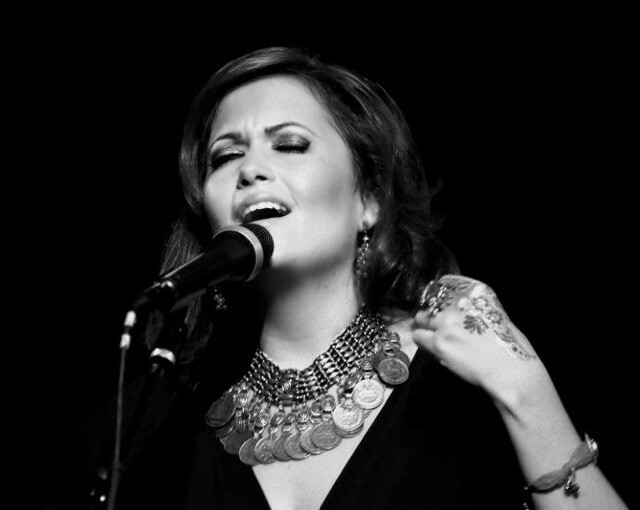 As a result of the success of The Arabian Jazz Project, Farah was chosen as one of New York’s “Summer Stars of Jazz” and named “the Norah Jones of the Middle East” by New York Time Out. In June 2014, Farah released her latest album, Dunya, meaning “world” in Arabic and Hindi. Farah currently leads an ethnically diverse quintet of Arabian Flamenco Jazz, with world-class musicians from the Middle East, Europe, the United States and South America, including music from all four regions. Farah and her band have toured the Middle East, India, Europe and the United States and South America with sold-out concerts in all four regions. During her tour of India, Farah shared the stage with India’s most renowned composer, A.R. Rahman, performing Zariya live on MTV. The song hit #1 in the music charts in India and #3 in the Middle East. Farah’s musical education includes the prestigious Trinity College of Music in London and Berklee College of Music in Boston, where she was recognized for her lush arabian vocals, as mentioned in the article “Out of Berklee, A Gift of Music” by the Boston Globe. Farah’s music often expresses the reality of war and raises awareness for the urgent need for peace. In recognition of her humanitarian efforts, Farah was invited to perform at the 2012 United Nations Humanitarian Awards in New York. In addition, Farah’s music was played before the United Nations Security Council before passing a legislation regarding the genocide in Darfur. She was raised in a family band, playing on homemade rafts, buses and good old fashioned train trips. The Flying Neutrinos, while calling New Orleans their home, performed on every street corner of the United States, Mexico, Europe and Russia. Their claim to fame were performances with two Mexican circuses. Inherent of her father Poppa Neutrino’s strong will and self ownership, as a young adult, Ingrid boldly started her own traditional jazz band in NYC. The new Flying Neutrinos became one of the fore runners of the retro swing movement. Signed by the Cure’s record label, Fiction they toured Europe and the states, connecting punk rockers and swing nerds everywhere. Their album “The Hotel Child” charted number 12 on Billboard Jazz Charts. It was always Ingrid’s dream to show the younger generation how traditional jazz energy was the original American rock and roll. She returned home to New Orleans to reconnect with her roots and the players who inspire and co-create with her. She began to write, produce and record original material that speaks out to today’s generation while maintaining the authentic tools that keep the New Orleans sound instilled in her music. Ten albums later, her newest recording “Living the Life” is a tribute to her late father. Produced by Roland Guerin, “Living the Life” has been nominated for three awards with Offbeat Magazine, as well as being their number 9 pick out of their top 25 for the year. Downbeat Magazine named it editors pick in the June 2014 issue. Ingrid Lucia is a lifer. She has always played music and she always will. Join her as she continues on a musical journey and explores the unknown on this roller coaster called life. 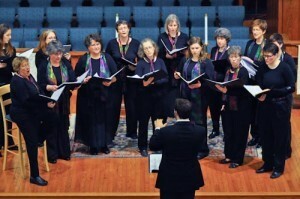 Calliope Women’s Chorus, founded in 1976, is the second oldest feminist chorus in the United States. Calliope held its first self-produced concert in 1982, and continues to offer at least two full concert programs per season plus several community performances. Calliope members are lesbian, bisexual and heterosexual. We welcome women to join us in singing with excellence and pride. Our concert themes and programming promote social change through increasing awareness about the subject of each concert and “keeping hope alive” for the people who work for change. We commission new works by women composers and arrangers, and perform works of women musicians of the past, as another way of helping women’s voices be heard.